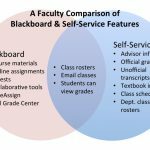 Instructions for using Self-Service specifically for faculty, advisors, and departmental staff. Please feel free to contact the Registrar’s Office if you have any additional questions. We’re all here to help! To print your class list, use the Print function on your web browser, keyboard shortcut: Ctrl+P on Windows or Command+P on Mac. To download a list of names of enrollees in a class, use the download link on the left side of the screen when you view a class list. Click the Department tab along the top. Click the Manage Courses link that appears below the tabs. Select a year, or faculty member from the lists shown. Roll your mouse over the desired course (or year and course for a specific faculty member) and click. To print the class list directly, you can use the Print function on your web browser or use the keyboard shortcut: Ctrl+P on Windows or Command+P on Mac. To save (and print) the class list, you can select the Download link on the left side of the screen and select the columns that you want to download into one of several different formats, then save and/or print from that software. Select the checkbox to the left of the name of each student you want to email. Click on E-mail Selected under Options on the left. Select the checkbox on the column heading to select all the students in the list. Note: Self-Service does not keep any history of emails sent to students or advisees. We recommend that you add yourself to the recipients list or copy the recipients from the ‘To’ field and paste them into a new message in BishopMail. Either way will give you a copy of the message in BishopApps in case you need to reference it later. Log into OWU Self-Service and click on the Advising tab. To view your advisee’s Cart selections, click the Manage Advisees link on the bar below the tabs. To view all advisees, simply click on the search button at the bottom of the window. You can increase the results per page by using the drop down on the upper right hand side of the screen. To search for a specific student, you may use the search tools available. Click on the name of the student and select schedule. On the left side of the screen click on Text, change the Period to the current registration term (your advisee must have courses in his or her cart for the registration term option to appear), check the Courses in Cart and Waitlisted Courses boxes, and click on submit. This will allow you to see all courses in the student’s cart as well as those currently on a waitlist. You now have the ability to make changes to the students cart so you can make adjustments on the spot during your advising meeting. It is recommended that you print a copy of the student’s approved Cart selections and keep it in the advising file. This is meant to protect the advisor should the student make unadvisable changes during registration. To authorize the student for registration, click the Authorize Registration link on the bar below the tabs. Note: Please authorize students even if they are on a Stop List or what we used to call a “Hold”. They are unable to register with the hold but do have the ability to place courses in their cart. Once the hold has been addressed, the student will be permitted to register. To search for a specific student, you may use the search tools available. Make sure My Advisees is selected in the List drop down menu to the right. This will open an Authorize Registration screen. Place a check mark in the FULL box for your student. We are no longer using the M1 and M2 modules. IMPORTANT: Be sure to click on the Save button prior to exiting the screen. If you do not click on Save, the student will not be authorized to register. Log into OWU Self-Service and click on the Classes tab. Click the Enrollment link on the bar below the tabs. Select Waitlist from the menu on the left side of the screen. The title of the page should now read Enrollment – Waitlist. Click on Select Course just below the words Enrollment – Waitlist. 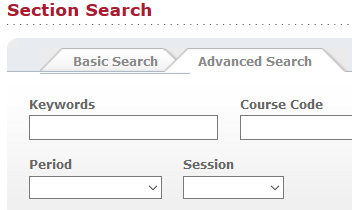 Hover your mouse over the registration term (year/term) and your list of courses will appear off to the right. Click on the course you would like to review. You may also use the menu beneath the Select Course option to navigate to your course. Only those students on the waitlist will appear in the new window. Students are listed in date order; however, you can select which student you would like to add. This allows for senior preference or special circumstances. To offer a student the available seat, change the Status from Waiting to Pending in the drop down menu and hit save. Changes will not be saved if you exit prior to saving. This does not automatically add the student to your class. The student must accept the waitlist offer before he or she will appear on your roster. Note: If your class is full, contact the registrar’s office to increase your course limit prior to adding a student from the waitlist. Waitlist offerings cannot exceed the capacity for the course. The student will have 48 hours to accept the pending course and add it to their schedule. If they do not respond before the deadline, the course is available for the next student on the waitlist. If the student’s registration portal is closed, the student will not be able to register for the course until it reopens. Keep this and the 48-hour restriction in mind when setting a student’s status to pending. Note: Students received instructions on the use of the waitlist and the 48-hour turnaround. An e-mail notification will go out to the student and the instructor when the offer is made. This process runs once per hour. The system updates the registration totals and class roster once the student accepts the seat and proceeds through the registration process to add the course. The student must meet all prerequisite requirements to register. Myth #1: The system will automatically assign the next person on the wait list if a seat becomes available. Fact: The system will not assign the first person on the wait list. The only way a student on the wait list can add the course is if the professor sets the student’s wait list status to Pending in Self-Service. Faculty members can award the seat to any student on the wait list. Click here for detailed instructions on Wait List Management. Myth #2: If a seat becomes available, the system will allow a student not on the wait list to “swoop in” and take the open seat. Fact: Self-Service will not allow a student to fill an open seat until the wait list is exhausted. If there is one student on the wait list and one seat becomes available, the system will not allow anyone but the student on the wait list to register and that is only if the instructor set the student to Pending. If there are two seats available and one student on the wait list the system will allow one random student to register. If you keep a paper wait list, any student can take an open seat the moment it becomes available in self-service. Myth #3: If a class is full but the professor wants to add a student from the wait list, s/he can do that by setting the student’s status to Pending and telling him or her to register. Fact: The system will not allow a faculty member to over load a course above the set cap. To add a student over the cap, contact the Registrar’s Office and request an increase. Myth #4: Once a faculty member sets a student on the wait list to Pending, the student is automatically registered. Fact: Students must self-register within 48 hours of being set to Pending. Myth #5: Students have an indefinite amount of time to add a course after the faculty member sets their status to Pending. Fact: Students have 48 hours to register after they are set to Pending in self-service. If a student does not accept the Pending course, move on to the next student on the list. Myth #6: Students can register for a Pending course even if their portal is closed. Fact: Students cannot register for a course if their portal is closed even if it is a wait listed course set to pending. Keep this timing in mind when approving students from the wait list. 1. Log into OWU Self-Service at campus.owu.edu and click on the Classes tab. 2. Click the Enrollment link on the bar below the tabs. 3. Select Permission Requests from the menu on the left side of the screen. The title of the page should now read Enrollment – Permission Requests. 4. Click on Select Course just below the words Enrollment – Permission Requests. 5. Hover your mouse over registration term and your list of courses will appear off to the right. Click on the course you would like to review. You may also use the menu beneath the Select Course option to navigate to your course. 6. Only those students requesting permission will appear in the new window. 7. Choose Approved or Denied, whichever is appropriate, from the Status drop down menu and hit save. Changes will not be saved if you exit prior to saving. Note: You can change the view from View All to, Approved, Denied, or Waiting using the Select Status drop down menu located in the upper middle of the window next to the course name. This makes it easier to find those students waiting for approval. 8. The system updates the registration totals and class roster upon your approval unless the student’s registration portal is closed. If the automatic update does not occur, the student will need to register for the course when the portal is again available to the student. Tips: The registration window does not need to be open for you to give a student permission to enter a class. Click on the Classes tab or click the Class List link under the image on the home page. Click the Grading link on the bar below the tabs. Click Attendance on the left. Select the course you’d like to record attendance for. Scroll down and click on the name of the student you’re concerned about. On the row with the date they were absent change the Attendance Status to “Absent”. Enter any helpful notes or concerns in the Comments field. Click the Save button at the bottom of the list. To go back and select another student, select one of the other links above Attendance on the left, and then click Attendance again. Log into OWU Self-Service at campus.owu.edu and click on the Classes tab. This will default to the Activities Grades screen, which we do not use. Select Overall Grades on the left to proceed to the grading screen. Select the course for which you wish to enter grades in the middle of the screen. NOTE: Both midterm and final grading portals are now open. Be sure you are entering final grades for first module courses and midterm grades for full module courses. Select grades from the drop-down lists for each student (you may use the keyboard to tab from field to field) and click the Submit Midterm button at the bottom of the list once you have finished entering all grades. NOTE: if you will be submitting comments for a grade, you must enter comments first by clicking on the button to the left of the student’s name and selecting Midterm Comments. Be sure to begin your comment with the letter grade you are commenting on, such as “U – didn’t take midterm exam”. This allows the registrar’s office to query your comments for probation and dismissal purposes. You may also save grades in the My Grade column before submitting them by clicking the Save button at the bottom of the list. This allows you to partially enter grades and then return to finish them later. You may also add grade comments or make changes at this point. Be sure to submit grades once you have finished as saving does not import them into the database. This will display a list of students with two columns under Final: “My Grade” and “Actual Grade”. The “My Grade” column has drop-down buttons for each student row and is where the grade should be entered. Select grades from the drop-down lists for each student (you may use the keyboard to tab from field to field) and click the Submit Final button at the bottom of the list once you have finished entering all grades. There is no need to enter an R, V, or Q for approved courses. The student will automatically receive the appropriate credit if he or she passes the course. See separate instructions for awarding writing option credit. If you do not feel a student earned the auto-generated grade for a writing course, please email this change to the Registrar’s Office. A team member will change the grade from an S to a U. Please note, this U does not send the student to the Writing Center. To send a student to the Writing Center, please see the note listed below. Note: If you will be submitting a D or F grade or a U for the writing center, you must enter comments first by clicking on the button to the left of the student’s name and selecting Final Comments. (Students are no longer able to view comments.) Be sure to begin your comment with the letter grade you are commenting on, such as “D Didn’t take final exam” or “U Needs assistance with paragraph structure”. This allows the registrar’s office to query your comments for probation and dismissal purposes. You may also save grades in the My Grade column before submitting them by clicking the Save button at the bottom of the list. Be sure to submit grades once you have finished as saving does not import them into the database. You will then see the grade you have submitted has moved from the My Grade column to the Actual Grade column. You may then move to another course by starting over at step #2. If you submit an incorrect grade or accidentally submit a grade that you should have commented on, you may make changes by clicking on the actual grade. A Change Grade window appears where you may change the grade and/or enter a comment. You will need to select a reason for making the change from the drop down to activate the process. This will display a list of students with two columns under Final: “My Grade” and “Actual Grade”. The “My Grade” column has drop-down buttons for each student row. Select grades from the drop-down lists for each student (you may use the keyboard to tab from field to field) and click the Submit Final button at the bottom of the list once you have finished entering all grades. There is no need to enter an R, V, or Q for approved courses. The student will automatically receive the appropriate credit if he or she passes the course. See separate instructions for awarding writing option credit. If you do not feel a student earned the auto-generated grade for a writing course, please email this change to the Registrar’s Office. A team member will change the grade from an S to a U. Please note, this U does not send the student to the Writing Center. To send a student to the Writing Center, please see the note listed below. Note: If you will be submitting a D or F grade or a U for the writing center, you must enter comments first by clicking on the button to the left of the student’s name and selecting Final Comments. (Students are no longer able to view comments.) Be sure to begin your comment with the letter grade you are commenting on, such as “D Didn’t take final exam” or “U Needs assistance with paragraph structure”. This allows the registrar’s office to query your comments for probation and dismissal purposes. If you save an incorrect grade or accidentally save a grade that you should have commented on, you may make changes by clicking on the actual grade. A Change Grade window appears where you may change the grade and/or enter a comment. Be sure to begin your comment with the letter grade you are commenting on, such as “D Didn’t take final exam” or “U Needs to go to the writing center”. Hover over the menu button at top left. Click on FACULTY AND STAFF. Reporting Services will be at the bottom of the far right column under Faculty and Staff Documents. Login with the same username and password you just used to sign into myOWU. Click to open the Faculty folder. Select “Spring” for the term, and click the “View Report” button on the right. Note: If you are unable to access myOWU, click here to log directly into the report and start at step #8 above. If you have approved a student to take a writing option, please e-mail the course code, section, and student name(s) to the Registrar’s Office (if you have not already done so). They will create a special writing option section and enroll the student(s). You will then be able to grant writing option credit by awarding a grade of “S” in this special section or a “U” if the student did not complete the requirements. This will default to the Activities Grades screen, which we do not use. Select Overall Grades on the left to proceed to the correct grading screen. Select “S” from the drop-down lists for each student (you may use the keyboard to tab from field to field) to award credit for the writing option and click the Submit Final button at the bottom of the list once you have finished entering all grades. If the student did not complete the writing requirements, please enter a “U”. The course is considered credit/no-entry and the “U” will have no impact on the student’s transcript. This “U” does not send the student to the writing center. See the instructions for final grades for more information on entering writing center “U” grades. Hover over the Menu at top left, and select Faculty and Staff from the menu that appears. 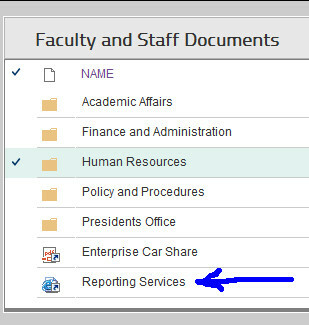 Click the Reporting Services link in the Faculty and Staff Documents box on the right. Enter your OWU username and password when prompted. Click on the Faculty folder. Click on Advisee Semester Report. Select the year and term you wish. Click the View Report button at top right. Click on the Classes tab and select Grading from the menu line. Select the course for which you would like to print grades. Be sure you are on the right year and term (example 2013 Spring). Select Overall Grades from the left hand menu just as you would if you were entering. Click on Download Grades located under the Options heading on the left side of your screen. Choose the criteria from the left side of the Available Columns, clicking the arrow buttons to move them to and from the Columns to Download column. Be sure to select Midterm Transcript Grade or Final Transcript Grade to view the information posted to the student’s academic record. The default format for the report is HTML, but you have several options including Word and Excel. You may change the default selection by clicking on the drop down menu located under the Download Format heading. Once you have made your criteria selections, click on the Download button. Your report will pop up in a new window. Click on the Advisee List link at the bottom of the screen. This will bring up the list of advisees. To print your list, use the Print function on your web browser, keyboard shortcut: Ctrl+P on Windows or Command+P on Mac. To download a list of advisees, use the download link on the left side of the screen. Log into OWU Self-Service at campus.owu.edu and click on the Advising tab. Click the Manage Advisees link on the bar below the tabs. Click the Advanced Search tab (similar to a section search). Click on the drop down arrow for Class Level towards the bottom of the page. Select the class level you would like to view and click on the search button at the bottom. Note: If you do not have any students in a particular class level, it will not appear as an option. Make sure My Advisees shows under List to Search (located on the bottom left side of the page) on your results page otherwise you may get previous advisees in your results. You may increase the results per page by using the drop down menu in the upper right side of the window. If you are viewing your entire list of advisees, you might have to either click to increase the Results Per Page or click Next>> to see all of your advisees. On the Manage Advisees page, an advisor will choose an advising list and select the names of the students he or she wants to share with other advisors. Then on the new Share Advisees page, the advisor will select the names of the students to be shared with a particular advisor, and specify the name of that advisor. When an advisor views an advising list on the Manage Advisees page, the system will display a new Shared icon for each student who is being shared with other advisors. An advisor can select the Shared icon to view a list of the people with whom the student is being shared. View a list of the students he or she is sharing with other advisors, along with the names of the advisors with whom each student is being shared. Stop sharing a student with any or all of the advisors with whom he/she is currently be shared. Stop sharing information about one or more students with any other advisors. A new My Shared Advisees list is accessible from the Manage Advisees page. This list will be displayed for any advisor who has been assigned an advising role which has permission to view at least one type of student information from the My Shared Advisees list (Grade Reports, Permission Requests, Course Schedules, Unofficial Transcript, Attendance, and so on), authorize registration, or approve schedule changes. If an Advisor does not want to access information for a student who is being shared with him or her, the advisor can remove the student from his or her My Shared Advisees list. Select the Advising tab along the top. Set the drop down box under ‘List’ to All Students. Enter the student’s name and click Search. Click on Schedule in the drop-down box under the student’s name. The Advisor will be at the bottom of the text version of the student’s schedule. Here are instructions to review the accuracy of your future courses in Campustester. The schedule and edits made to it going forward will appear in the live system. Edits will not appear in the test environment. Log in using your single sign-on username and password. Click on the Advanced Search tab and select the term under review from the Period drop-down menu (e.g. 2018 Fall or 2019 Spring). Skip this step to review both terms simultaneously. Select your name from the Instructor drop-down menu. Click on the Search button at the bottom of the page. This will show all courses for the given year and term. Report changes to the chair/director of the department/program. To request a change to a section’s meeting day/time, the addition of a course and/or new part-time requests. For all remaining edits. Please note that APC approval is required for changes to credit hours and dual requirements (Writing Course, Diversity, and Quantitative). The only exception is the Writing Option (offered to a select few students in a given course). Chairs/directors should also check for accuracy those sections assigned to part-time faculty.